Following a lengthy struggle to regain his health, country music legend Mel Tillis passed away early this morning at the Munroe Regional Medical Center in Ocala, Florida. Tillis battled intestinal issues since early 2016 and never fully recovered. The suspected cause of death is respiratory failure. Tillis was 85. Lonnie Melvin Tillis was born in Tampa, Florida on August 8, 1932. Throughout his 60+ year career, the Grand Ole Opry member recorded more than 60 albums, had 35 Top Ten singles, six #1 hits (“I Ain’t Never,” “Coca-Cola Cowboy,” “Southern Rains,” “Good Woman Blues,” “Heart Healer,” and “I Believe In You”), was named the Country Music Association’s coveted Entertainer of the Year, and was elected a member of the Country Music Hall of Fame. He wrote over 1,000 songs, 600 of which have been recorded by major artists including Kenny Rogers (“Ruby, Don’t You Take Your Love To Town”), George Strait (“Thoughts Of A Fool”), and Ricky Skaggs (“Honey, Open That Door”). Broadcast Music Inc. (BMI) named Tillis Songwriter of the Decade for two decades. In February of 2012 President Obama awarded Tillis the National Medal of Arts. Pam is deeply saddened by the passing of her father, Mel Tillis, last night. It was sudden and unexpected. Pam’s father was dearly loved and one of a kind. Please take a moment and visit Official Mel Tillis and let them know how you felt about this south Florida poet that was a master songwriter, brilliant comedian and beloved father. It is a tragedy that we’re losing so many legends at such a rapid rate these days. It’s certainly the case with Mel Tillis, who nevertheless did the most with his 85 years. Thoughts and prayers go out to his family, including his daughter Pam. One irony about his biggest songwriting credit, “Ruby (Don’t Take Your Love To Town)”: It was a much bigger country hit for Johnny Darrell, who took it to #17 in mid-1967, than it was for Kenny Rogers and the First Edition, where it only got to #39 in August 1969. But Kenny’s was the much bigger selling version since it got up to #6 on the Hot 100. And it might be well worth noting that another one of Mel’s songs, “Mental Revenge”, besides being a hit for Waylon Jennings, found itself into the hippie C&W lexicon by virtue of being on the set list of Gram Parsons and the Flying Burrito Brothers in 1969 and ’70, and Linda Ronstadt (one of Pam’s favorites) recording it for her 1970 album Silk Purse. 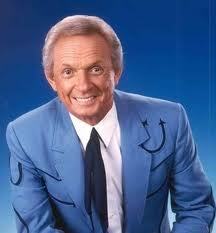 Loved Mel Tillis. Such a talented singer/songwriter. My favorite of his songs was ‘I Got The Hoss’. It was such a fun and catchy song. I hope people will remember his legacy. “Mental Revenge” is such a great song. Love the Ronstadt version, which I heard after the Jennings and the Pam Tillis version. All three are great. Tillis recorded it during that odd period of the early 2000s where men putting blonde tips in their hair was a thing, so the peroxide line sounded hilarious coming from a woman to a man. “Mental Revenge” amuses me because it mentions Caribou, Maine, which is 20 minutes from where I grew up and a town that I’ve spent a lot of time in.